When it comes to email marketing, some companies get it right. But a lot of companies get it very, very wrong. Have you ever received an unsolicited email and dismissed it as spam without even reading it? Or maybe you signed up for a company’s email list only to be bombarded by emails once or more per day. The first goal of email marketing is to get recipients to actually open the emails you send. Of course, the ultimate goals are bigger – make sales, build brand awareness, establish positive long-term relationships with customers – but you can’t achieve those bigger goals without first getting people to read what you’ve sent them. 1. It is rarely a good idea to send unsolicited email. For one thing, most people will not open email from a sender they don’t recognize. For another, you could end up getting registered as spam, which would make your emails even less likely to be seen. If you do have a specific business need to send unsolicited emails, take extra care with the subject line. It should be professional, coherent, and non-salesy. Ideally, you want to get people to opt into your email list before you send them anything. One effective way to do this is by posting a signup link prominently on your website. You can also have a popup inviting site visitors to sign up, and you can ask for customers to sign up when they make a purchase. Getting consent to send email communication is step one. The next steps have to do with your strategy for how to compose and send emails that will actually get opened. 2. Make sure you tell subscribers how often they will receive emails from you. Then follow through. At the point where people sign up for your email list, they should be informed about what they can expect to see in their inbox. Give them this information beforehand or in the automated response email they receive when signing up. That way, you manage your subscribers’ expectations. If they know they’re signing on for daily emails, they can’t really get annoyed when those emails show up every day, can they? But you also have to follow through. One important goal of email marketing is demonstrating your authority and reliability. It’s hard to show your audience that you are authoritative and reliable if you promise something and don’t deliver. So if you say there’s going to be a weekly email. Make sure you send an email every week – no more, no less. You should also let customers know right off the bat what kind of content they can expect to receive in emails from you. Newsletters? Information about new products and services? Coupons? Articles? The more up-front you are with your subscribers about what you are going to send them, the better. 3. People will judge a book by its cover. Or an email by its subject line. Plan your subject line strategically to improve the chances of your email being opened. 64 percent of people report that the subject line influences their decision about whether to open an email. And 33 percent say they decide whether to open based on subject line alone. Either short or long titles can be effective, but the most important thing to remember is to avoid the “dead zone” of 60-70 characters in length. One study found that open rates were 12.5 percent higher for email subject lines of 49 characters or less versus those with 50 or more. Click-through rates were 75% higher for the short-titled emails. On the other hand, some studies have shown that titles of 70+ characters deliver the best results if you factor in click-through and click to open rates. Your subject lines should show the reader what’s inside while demonstrating why this will be of value. If you have a discount to offer, include it. If you can convey the right information and get creative with the subject line, do it! Interested in Saving 10% Today? We Want to Hear from You! What Do You Think Of These New (products/services)? Of course, there are countless ways to word a subject line, but the best ones show why the email has value to the recipient. So saying upfront that there’s a discount, useful content, or an opportunity to provide feedback will be more likely to result in opened emails. If you’re tempted to keep things vague to inspire curiosity, don’t! It’s normally not a good idea, since most people prefer to know what they’re opening before they click on it. You might have your weekly email ready to send out at noon on Thursday, but is that really the best time? A thoughtful, well-organized email marketing campaign takes account of all the details, including timing. A bit of research will help you find out what days and times are statistically best for sending your emails. According to MailChimp, it’s best to send emails on a weekday. And the optimal weekdays are Tuesday (#1), Thursday (#2), and Wednesday (#3). 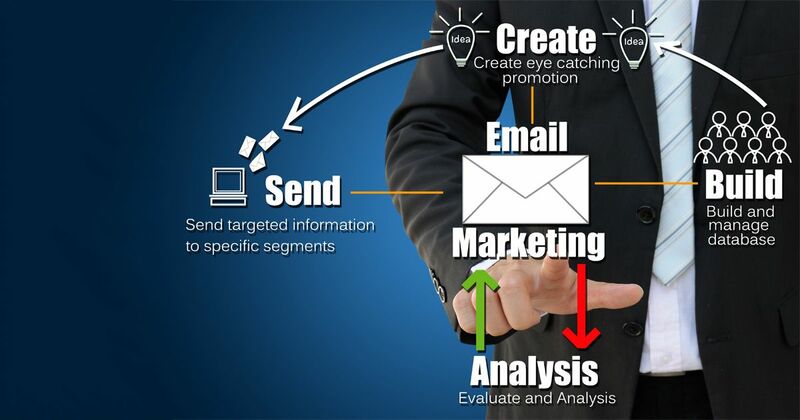 However, industry has a big impact on email marketing decisions. For instance, hobbies, retail, ecommerce, and arts have greater success on weekends. But nonprofits, business/finance, and government have greater success on weekdays. When it comes to the best time of day, studies have found that 10-11am is the best time of day to send emails. 8pm through midnight is another strong contender. This is probably due to the fact that many people check email before turning in for the night. 2pm and 6am are next in line. Ah, but here’s the rub. The best day and time to send email depends greatly on your business and your specific audience. The best thing to do may be to use these stats as guideposts. Start by scheduling your emails during these days and times, and monitor the outcome. Then make changes that you think may have a positive impact. Monitor the impact. If you’re right, great. If you’re wrong, you can switch back, or make further changes until you achieve your desired outcome. There’s nothing wrong with trying a lot of different things. Just make sure you give it enough time to get an accurate measurement. One day is not enough time. Neither is one week. Even one month may not be sufficient. Accurate measurements come from long-term testing. So be willing to take a risk (and possibly a little hit to effectiveness) in the name of better understanding. 5. Opens don’t equal engagement. Think about it as if you were the consumer. If you open an email, does it mean the email was successful? Success comes when the consumer is actually engaged by what you have sent. Ideally, you want people so engaged that they click through to your website. The unique open rate for marketing emails (worldwide) was 21.8 percent. For the top quartile of performers, the rate was much higher – 41.6 percent. For the bottom quarter, it was just 7.9%. While these disparities are highly correlated with industry, individual email marketing strategy has a big influence too. The average unique open rate for transactional emails was 47.1 percent. This is to be expected, as customers tend to have a vested interest in the status of purchases they’ve already made. The average click-through rate was 3.3 percent overall, with the top quartile at 9.5 percent and the bottom quartile at 0.3 percent. Again, the rate is much higher for transactional emails – 8.8 percent overall. The average click-to-open rate was 13 percent. Top quartile performers had a CTOR of 29.5 percent. For bottom quartile performers, the rate was 2.1 percent. CTOR differs from CTR in that it measures click-through as a percentage of messages opened rather than messages delivered. As you can see, the percentage of people who are actually engaging with the content of the email is far lower than the percentage that actually opens the email. Your goal should not just be to get recipients to open your email but to get those who do open to take action – visit your site, contact you, make a purchase, follow you on social media, etc. 6. Maximize the effectiveness of transactional messages. Consumers are much more likely to open an email if it has to do with a purchase they’ve made. And if you think about it, the reason seems pretty obvious. If you bought something, you’re curious about its status. Transactional emails can include purchase confirmations and shipping confirmations. Consumers want to know if their order is delayed. They also want to know if it’s in transit, and how long it will take to reach them. So yes. customers will open their emails to see what’s going on with their order. But should transactional emails end with that information? No way! If you have a pretty safe guarantee that a customer is going to open a specific email, shouldn’t you make that email an effective marketing tool? The recipient of the transactional email just made a purchase with you, so don’t overwhelm with a hard-sell. You want to express gratitude, not demand more business. However, you can use the transactional email to suggest accessories, additional services etc. Or take the opportunity to further solidify the customer’s relationship with your brand. You might offer some relevant content or invite the customer to follow you on social media. 7. Make it as easy to opt out as it is to opt in. A lot of businesses make the mistake of turning unsubscribing from email lists unnecessarily complicated. This is a bad idea for two reasons. 1) You aren’t doing anyone any favors by strong-arming them into remaining on your email list. If anything, making this step difficult will only cause subscribers to harbor negative feelings about your brand. And 2) If a subscriber really wants off your list but can’t figure out how to unsubscribe, he or she is more likely to hit the ‘register as spam’ button. And you do not want that. If you’re really worried about losing subscribers, then you can have the ‘unsubscribe’ link direct people to a feedback form, where they can let you know why they chose to leave your email list. This is actually very valuable feedback that you can use to improve your overall strategy. Were they getting too many emails? Did the emails not contain valuable information? Did the messages not work on a mobile device? If you want, you can even ask permission to follow up with lost subscribers. That way, you can get more information about why they signed up, why they opted out, and what, if anything, would entice them to come back. And don’t forget to ask your audience. How valuable do subscribers find your emails? Which types of email are of greatest interest? What would they like to see more of? Less of? And how do they feel about the frequency of your emails? Use this feedback alongside your objective metrics to get a fuller understanding of what you’re doing right and what you can improve on. As social media marketing grows in prominence, many businesses are turning away from email marketing. But email still has a lot of value as a marketing tool. If you have a solid strategy, email marketing will pay off. George Gill is the founder of GILL Solutions. He lives in Peterborough Canada, and is an avid learner, passionate trainer and speaker. For over 20+ years, he's helped businesses implement growth strategies and systems to consistently out perform their expectations. Measurement is always key!